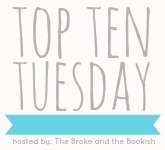 This week's Top 10 Tuesday prompt wants to know which books we thought we'd like more or less than we did after reading them. I decided to divide my list into half -- 5 books I thought I'd like more, and 5 books I thought I'd like less. 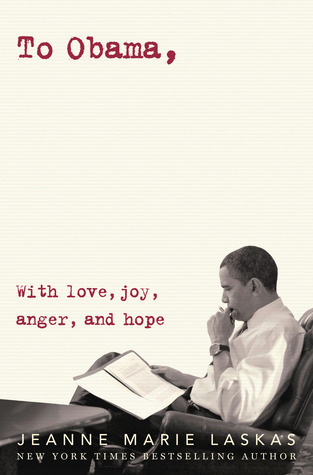 Sometimes books work for us and sometimes they don't. Sometimes they take us by surprise and sometimes they leave us feeling flat. That's the beauty of literature -- each book can hold a very different meaning to so many different people! 1. The Sea of Tranquility by Katja Millay - everything in the description of this book had me thinking I'd love it, but half way through the novel I had second thoughts about it. I know tons of readers enjoyed this book, but for me it just didn't sing. You can check out my thoughts in my more detail here. 2. Return to Paradise by Simone Elkeles - since I loved the first book, Leaving Paradise, I had high hopes to love the continuation of Caleb and Maggie's story. Unfortunately, I didn't walk away with the same feelings for this book. Sometimes it happens. 3. Before I Fall by Lauren Oliver - this was my first novel to read by this author, so I had nothing to compare it too. Though I thought her writing was beautiful, the story itself is what didn't sit well with me. I thought I'd end up liking this one more, but unfortunately I didn't. 4. Playing Hurt by Holly Schindler - based on the cover and the story's synopsis, I truly felt like I'd love this one. Unfortunately, it was another case of something the character did that threw me off and kept me from truly connecting. 5. Take Me There by Carolee Dean - the cover for this book was extremely misleading, so because of that I went into this story thinking it was something I'd really like.. only to come out the other side completely confused. This ended up being very different, which may work for some, but didn't work for me. 6. The Invention of Hugo Cabret by Brian Selznik - I honestly had no idea what to expect from this ginormous book, but the story told within through beautiful illustrations really captured my attention. For someone who does not read a lot of middle grade, I was pleasantly surprised by how much I liked this one. 7. Divergent by Veronica Roth - when I got an ARC of this on loan to read, I had no clue what the story was even about. To be honest, I hadn't seen much hype for it either. Since I am particular about the books I read outside of contemporary, I had my hesitations before starting this one. Boy was I wrong!!!! Hands down one of the best dystopian series I've read. 8. Unearthly by Cynthia Hand - this is another example of a book set in the paranormal realm that I had hesitations about. I'd read angel YA books before, which some I liked and some I thought were just eh. So there was a bit of indifference upon starting this one. Again, I was wrong. Such a beautiful story! 9. Stealing Parker by Miranda Kenneally - I wasn't a huge fan of her first novel, Catching Jordan, so I had reservations about how I'd feel on reading another of her's. I was blown away by how much growth this author accomplished in her second novel and am very pleased that I decided to continue on. 10. Major Crush by Jennifer Echols - the only reason I thought I wouldn't be a huge fan of this book is because of that cover. If you know me, then you know how much I adore Jennifer Echols. The woman can do no wrong when it comes to writing, in my world. I just felt like this book's cover was a bit juvenile and I don't consider Echols' writing as juvenile. I was wrong, yet again! Loved this story! I should never doubt Echols, regardless of the cover, hehe. I'm always leery of angel books, so still haven't read Unearthly even though I've heard great things about it! Unearthly is popping up on a lot of "thought I'd like less" lists. Gonna have to check that one out soon. I started Before I Fall on audiobook and the whiny friends or whatever just got on my nerves and I couldn't handle it! Yep, I was also surprised about Divergent! I was afraid that it would be disappointing after all the positive reviews I've read, but it was awesome. Ditto on Divergent! All of my friends who have read the book absolutely DETESTED it so going in, I wasn't too sure either. I ended up loving it though! I'm happy you liked Hugo Cabret though! I think Brian Selzknik is a genius! Wonderstruck was also amazing! Totally agreed re: Elkeles. But you didn't like Before I Fall? I loved that one! How have we never discussed this!? I enjoyed Divergent too - although not Insurgent (not as much). And I didn't start out liking Before I Fall either, but it grew on me. I'm so glad that you ended up really liking Divergent! The series is one of my favorites, and I'm eager to see what happens in this final book, Allegiant. I felt the opposite way about Catching Jordan and Stealing Parker. I liked the first one much better than the second. Different strokes, as they say!